Intracranial hypertension (ICH) is the most common cause of clinical deterioration and death for neurological and neurosurgical patients. There are a lot of causes of raised intracranial pressure (ICP) and increased ICP can produce intracranial hypertension syndromes. 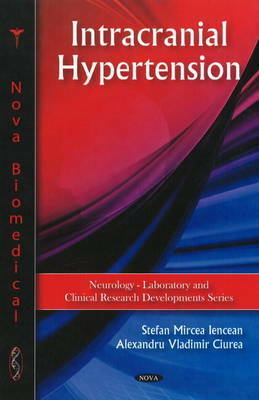 Monitoring of intracranial pressure and advances in investigations of the central nervous system have led to new concepts and systemisations in intracranial hypertension.The descriptive classification of the intracranial hypertension has been replaced by an etio-pathogenic classification with four main groups: 1. Parenchymatous Intracranial Hypertension, in the extending intracranial processes (cerebral tumours, intracranial haematoma, cerebral abscesses, etc. ), in traumatic brain edema, in hypotoxic brain edema, in general intoxications with neurotoxins (endogenous or exogenous), etc. ; 2.Vascular Intracranial Hypertension, caused by the disorders of cerebral blood circulation and then the brain edema or / and brain swelling appears. 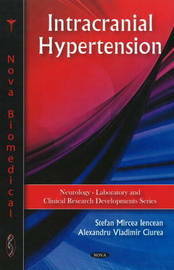 The vascular intracranial hypertension occurs in : I. -- vascular cerebral diseases : cerebral venous thrombosis or in in cerebral ischaemic stroke and in II. -- extracerebral vascular diseases as hypertensive encephalopathies; 3. Intracranial Hypertension caused by the Disorders of the CSF dynamics ( hydrocephalus etc); 4.Idiopathic Intracranial Hypertension. The treatment of intracranial hypertension depends on the type of intracranial hypertension and on the stage of the illness.